Are you concerned that your child might be using drugs? You may be right! Drug abuse touches everyone. No one is immune from its effects. Our program is designed to educate and to discourage the use of drugs in the people we love. Opening the channels of communication between parents and adolescents is key to this process. Our program gives you detailed guidelines on how to begin, what to ask and discuss, and where to go from there. Our program answers key questions about rights to privacy, how to handle the drug testing process, and alternative resources if home interactions do not work. It honestly tells you and your children about the harmful effects of illegal drugs and how to rise above the problem. We pride ourselves on our test kits that are US FDA 510(K) approved for accuracy and meet the same drug cut-off levels established by the United States Department of Transportation for drugs of abuse testing. 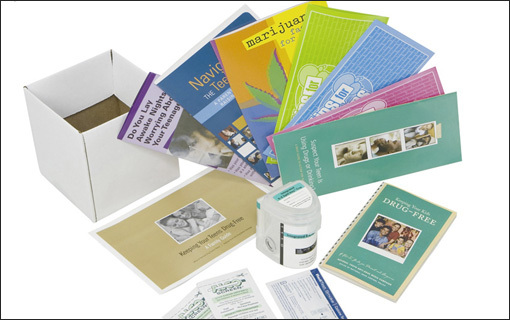 The home test kit is used to check for the presence of several commonly used drugs of abuse: marijuana, cocaine, ecstasy, methamphetamine, and opiates. Knowledge empowers a family to make decisions appropriate for themselves. By educating both yourselves and your children, and agreeing on an acceptable solution on how to handle illegal drugs, then you are one step closer to ensuring a better and brighter future for all of you. Capital Drug & Background Screening has developed a home drug testing program for parents to use within the comfort and privacy of their own home to determine whether or not their children may be using drugs. All programs are shipped to your home with discreet packaging.